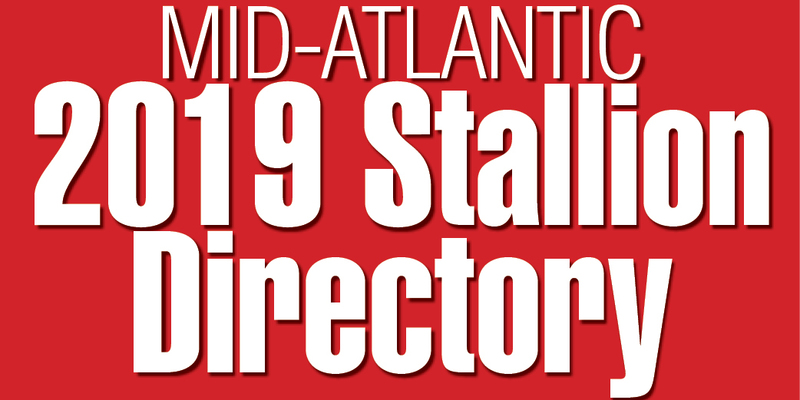 • Tom Reigle was taking a different approach to standing stallions in the region, and it was proving quite successful at his Reigle Heir Farms in Grantville, Pa., as he stood three of the top stallions in the state–Judge T C, Patton and Roanoke. “Reigle specializes in young castoffs from the Bluegrass State?–?horses with solid credentials who have a few crops of Kentucky-bred foals coming to the races, but for one reason or another no longer seem to justify Kentuckians’ faith,” wrote Anne Peters. “I could have bred [Judge T C] to 200 mares this year if I wanted,” said Reigle of the newest addition to the roster. The 11-year-old stallion ranked among the top 20 North American-based sires and had 10 stakes winners in his first two crops. • The Delaware Thoroughbred Horsemen’s Association’s Delaware Certified Thoroughbred Program was set to begin in 2003, offering purse enhancements for qualified horses boarded at farms and training facilities in the state. Bessie Gruwell, DTHA president, noted that the DCTP “will enable us to contribute. . . to the economic prosperity of Delaware agriculture, while providing a financial incentive for Thoroughbred horsemen.” The DTHA approved up to $500,000 a year from the horsemen’s purse account to fund the program through 2005. The first year of the program distributed $27,010 in bonuses. With nearly $1.5 million paid out in 2011, total disbursements were just shy of $6.5 million over the nine-year span. • Allen’s Prospect got his 50th and 51st stakes winners in August, surpassing legendary Maryland sires Nearctic (49), Smarten (49), Native Dancer (45), Caveat (40) and *Challenger II (34). The 20-year-old Country Life Farm stallion added one more by the end of the month. From 17 crops, the son of Mr. Prospector sired 63 stakes winners. He stood his final season in 2003 at age 21, and was euthanized that September from complications of surgery to remove a tumor from his throat latch. 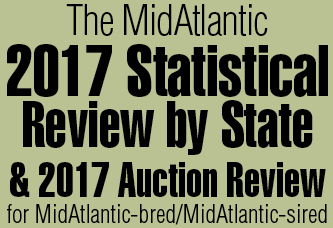 The most prolific sire of stakes winners currently standing in the Mid-Atlantic region is Not For Love. Northview Stallion Station’s son of Mr. Prospector, who has also stood his entire career in Maryland, has 72 stakes winners. The all-time Mid-Atlantic leader was Windfields Farm’s Northern Dancer, with 147. • Bayard Sharp, one of the region’s leading breeders and owners for more than a half-century, died at 89. The owner of 750-acre Sharp Farm in Middletown, Del., Mr. Sharp bred and campaigned such stars as Dixieland Band and his dam, Grade 1 winner Mississippi Mud, as well as Hopeful Stakes-G1 winner Papal Power and Belmont Stakes-G1-placed Baron de Vaux. Mr. Sharp’s early racing endeavours came with steeplechase horses, and counted champion Speculate in 1941. It was during that decade that his legendary association began with Charlie Peoples. The former steeplechase rider became Mr. Sharp’s trainer, a position Peoples held for more than 50 years, until his death in 1999. “We’ve probably set a world record,” said Mr. Sharp in 1991 of their then 48-year working relationship. • War Emblem became the first Kentucky Derby-G1 winner to take the Haskell Invitational Handicap-G1 when he outran Magic Weisner and three other rivals. $1 million purse to his bankroll, which contributed to the celebration for Baffert and his new bride, Jill Moss, whom he married the evening before the race. • Wiseman’s Ferry led wire to wire to outfinish The Judge Sez Who by a neck in Mountaineer’s $600,000 West Virginia Derby-G3, the richest race run in the state. The West Virginia Derby was the second Derby win, following one at Lone Star, and the richest score of Wiseman’s Ferry’s career. He retired to stud after earning a total of $825,266 in 16 starts. The son of Hennessy joined the Pennsylvania sire ranks in 2009 and is the sire of one of this year’s best handicap horses, multiple graded stakes winner Wise Dan.